Union Defence Minister Arun Jaitley on 19 may said the Indian Armed Forces is fully prepared to deal with the militants crossing across the valley. "Our troops and our Army are fully ready to check any form of infiltration. Under no cost will India's territorial sovereignty be allowed to be infringed," Jaitley said. "We will go hard on militants, particularly the ones, who have crossed over from other side, because they are responsible for creating this situation in the state," he added. Jaitley, who is in Srinagar for the 14th Goods and Services Tax (GST) Council meet, had a meeting with the senior commanders and troops at a forward post along the Line of Control (LoC), where he reviewed security situation. 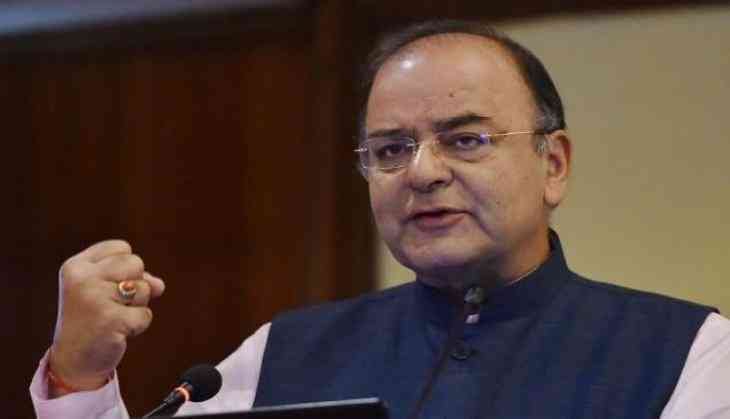 Responding to the ceasefire violation that took place in Balakote sector on 18 may, Jaitley said, "Obviously it was a provocation. Our Armed Forces will not allow this sacrifice to go waste. Their strategies are not discussed publically, but they are conscious of the fact that what has happened is not completely acceptable." Kashmir has been witnessing a growing spate of incidents of stone-pelting, where students have been seen clashing with the police. Responding to the issue, Jaitley said, "Yes, there is some problem in south Kashmir and in certain areas, but Srinagar particularly has been extremely hospitable and absolutely peaceful. I hope that they have very good tourist season this year." During the meet, Jaitley was briefed on the prevailing situation in Jammu and Kashmir at Badami Bagh Cantonment. General Bipin Rawat, Chief of Army Staff, and other senior Army officers were present in the review meeting as well. The Defence Minister was apprised of various measures to strengthen the robust counter infiltration grid along the Line of Control. He was also briefed on the close coordination amongst all the government agencies towards bringing back normalcy in the region. He also directed the commanders to maintain strict vigil along the Line of Control and remain prepared to give a befitting reply to any misadventure from across the border.